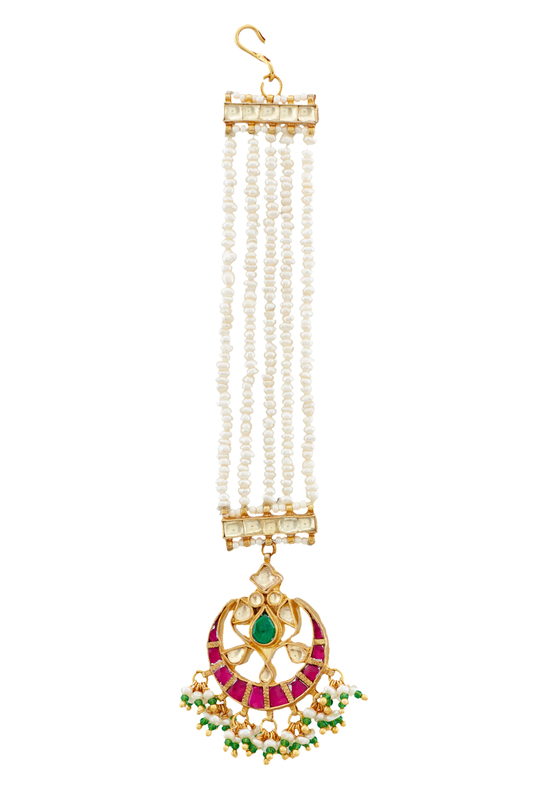 Pink and green kundan maang tika designed by Maisara at AASHNI+CO. Maisara impeccably designs an ethnic piece of maang tika with pink and green kundan jadau bejewelled in a moon crescent pattern and strings of pearls. Wear it with your benarasi saree for a regal look.